Last we heard, Nvidia was getting ready to expand its its Kepler-based GPU lineup beyond the current high end offerings, with a sub-$300 GeForce GTX 660 Ti arriving at some point in mid-August. Now fresh rumours are pointing at two additional graphics cards to cover the mainstream ~$190 - $230 price range, with the GeForce GTX 660 and GTX 650 reportedly scheduled for release in September. Similar to the GTX 670 and upcoming GTX 660 Ti, the non-Ti GTX 660 would be based on the GK104 core, but with 5 or 7 SMX units enabled for a total of 960 or 1152 CUDA cores. The card is expected to feature 2GB of GDDR5 memory along a 192-bit interface. Its expected price is $229. Meanwhile, the GTX 650 appears to be a GT 640 with GDDR5 memory and improved clocks. It will reportedly feature the same GK107 chip as its lower-end sibling, with 384 CUDA cores clocked beyond 1GHz and 1GB of GDDR5 memory on a 128-bit bus. As it’s often the case, partners will be able allowed to custom-design their own variations of the card with extra memory and better coolers. The GTX 650 is rumored to hit the market shelves on September 17 at a price range of $189-$199. 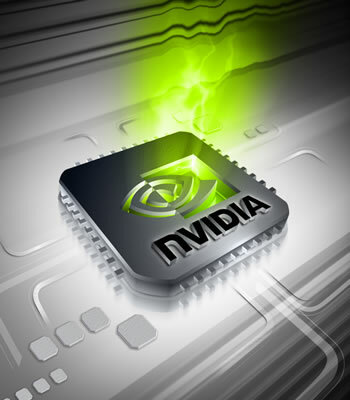 Later in the year during Q4 Nvidia is said to be releasing an in-between model, the GeForce GTX 650 Ti, based on the GK107 with 960 active cores and 1 or 2 GB of memory on a 192-bit bus. In the meantime those in the market for a ~$300 graphics card have the GeForce GTX 660 Ti to look forward to. TweakTown managed to get a sample and posted an early review of the card ahead of its official launch, and from the looks of it, AMD’s Radeon HD 7870 has some serious competition ahead.